Elite Shipping Ltd are a family based company founded in 1985 with over 30 years of experience in the freight forwarding industry based in the historic town of Chesterfield. Elite Shipping Ltd are highly skilled and dedicated professionals who are ready to help you with all your freighting requirements whether it be shipment of a light weight box by air or the movement of a full container load. We ship vehicles of all types and plant machinery too. No matter what it is you have to move we can help. We have great experience in the shipment of all types of cargo. 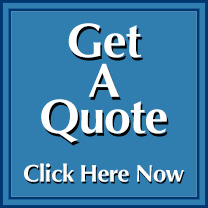 We are happy to deal with both commercial and private clientele, please feel free to contact us to discuss your freighting requirements and obtain a quote – alternatively fill in the on-line quote form. We pride ourselves in offering customers a personal but professional service to both commercial customs and private clientele. We move all types of cargo to destinations around the world on an import & export basis, by sea, air or road. We look for the best solution to your logistical needs. Elite Shipping Ltd are members of BIFA (reg 1370). All business is transacted in accordance to the terms and conditions of BIFA. You can download a copy of these by clicking on the link.